Another month, another gin! This time we were sampling a gin I’d never heard of before; Sabatini Gin. (If you’re unfamiliar with my gin blog posts, then catchup with number 1 here). I am completely in love with the story behind this gin. Italy is one of my favourite countries, and I spent a lot of my childhood roaming around Tuscany. So when I realised this gin was from the heart of Tuscany, I was thrilled. In 2015, the Sabatini family made their gin dream into a reality. 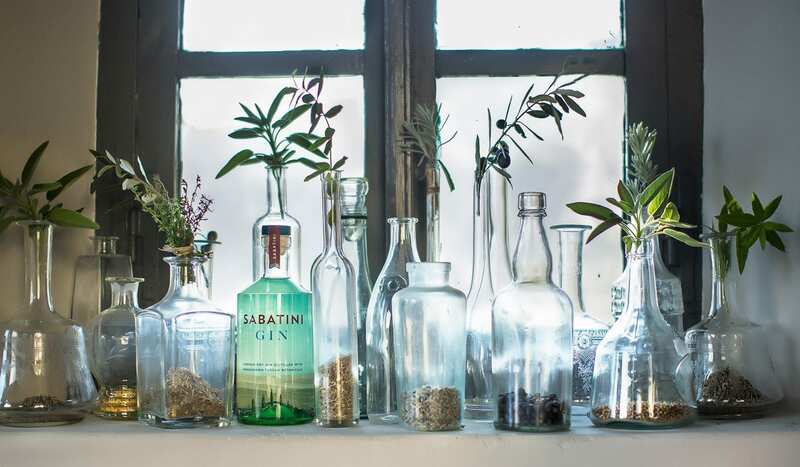 They made Sabatini gin using botanicals from the heart of Tuscany, combined with the sacred rules of traditional English distillation. Most of the botanicals are grown on the family’s own land, showcasing their passion for Tuscany (and their passion for gin!). You can read more about the Sabatini family and their gin on their website. Now for the fun part! Euan tasted the gin straight first of all, and commented on it’s initial softness with a light and ‘lemony’ favour, followed by a sweet finish. Euan did a little bit of research prior to our tasting session, and discovered that the gin’s recommended garnishes are either lemon or rosemary. As a result, we tried one glass with lemon and one glass with rosemary and compared the results. 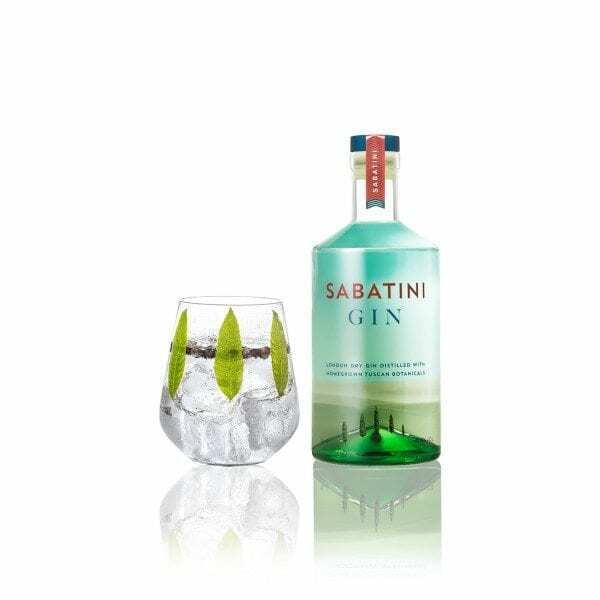 I found Sabatini gin incredibly easy to drink, and (despite already being in love with it because it’s from Tuscany) I did absolutely love it. It was really smooth, and I actually found it very pleasant with lemon (I don’t usually like gin & tonics with lemon), but I definitely preferred it with the rosemary. The two different garnishes brought out completely different elements of the gin. The lemon made it sweeter, whereas the rosemary made it fresher. Euan thought much the same; pleasant and very drinkable. He, however, preferred it with the lemon (each to their own, I guess…). He would recommend it as a summer gin for ‘everyone’. I agreed. It had enough of a kick that a strong-gin drinker would enjoy it, but wasn’t so overpowering that someone who preferred milder gins wouldn’t enjoy it. Somewhere in the middle, let’s say! I think the branding for Sabatini is effective. It’s not super bold and ‘in-your-face’, therefore might not stand out on a shelf. However, I think the colours of the glass – to create the illusion of the Tuscan hills and blue sky – is super (and the trees at the bottom are really sweet). I also like the simplicity of the letters, letting the bottle do most of the talking. For this particular gin, Euan recommends a Classic Tom Collins as the cocktail of choice. A simple and easy-to-make cocktail which emphasises the qualities of the gin. Fill a tall glass with ice cubes and pour in the gin. Squeeze the lemon, add the sugar syrup and stir thoroughly. Top up with soda water, and garnish with a lemon slice (or two). You can also shake the gin, lemon, and sugar syrup, and strain into a glass over ice (if you want to show off your cocktail shaking skills! ).